Before I get into this review, first my disclaimer, I may be biased as I already own three Leupold scopes, one of which I have had for over 40 years that is still going strong. However I am not one eyed when it comes to hunting equipment. But I am one eyed when it comes to warranties. 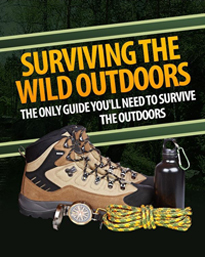 Leupold optics has been well known and popular amongst hunters and shooters for as long as I can remember. 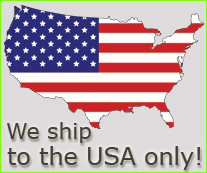 They are an American company that design, assemble and manufacture hunting optics in the USA. For a very long time there was a limited choice of hunting optics available to hunters in Americaa and Leupold was the standout scope, preferred by many serious hunters. Today we have a seemingly endless choice of telescopic sights to choose from. While there is a huge market for scopes it is highly competitive with a vast range off options offered by different companies. Choosing a new scope can be a minefield especially with so many specialist scopes and reticle types. Thankfully there are plenty of very good general purpose hunting scopes available. For a long time the standard general purpose scope was a 3-9 x 40 variable with a duplex style reticle, but not anymore. Times have changed. Optical design and quality has vastly improved in recent years. As an example reliable scopes incorporating 6 to 1 zoom ratios have nudged the 3-9 variables aside especially when they can and do hold their point of impact throughout their entire zoom range. The 2-12 variable, if it hasn't already, is poised to push the 3-9 aside. 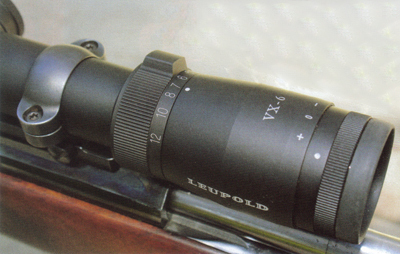 The Leupold VX-6 2-32X42 telescopic sight under review is an example of the shift in general purpose scope design. The review scope was supplied with Leupold's classic duplex reticle that has become the standard general purpose reticle that offers the combination of cross hairs with thicker side bars. A duplex reticle is uncluttered and simple making a very good reticle suitable for hunting. The physical size of this scope is also well suited to a hunting scope.There is a growing trend towards bigger is better, especially large objective lens's but this 42mm objective lens with an overall scope length of 31.75cm (12 1/2 inch) is what I consider to be in the sensible size range. The 42mm objective lens allows good light transmission in the higher magnifications while not being large or bulky. As always it is the quality of glass and lens design and coatings that truly determine light transmission and clarity. As this is one of Leupold's top of the range hunting scopes they have applied their best technology in lens design incorporating the following features.Their Xtended Twilight Lens System. This system is designed to maximize image transmission in twilight conditions.There is also the DiamondCoat 2, a protective coating to reduce abrasion to the lens surfaces. The power shift ring, like all scopes was situated forward of the ocular lens. 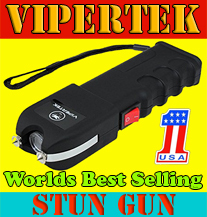 It had a raised grip tab that allowed for a positive grip when adjusting the magnification. 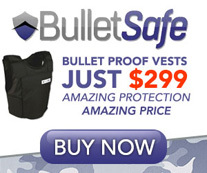 This is a good feature and an asset when adjusting the scope with a gloved hand and frozen fingers. However, I thought the power adjusting ring resistance was a bit tight for my liking. The review scope was supplied with Leupold's classic duplex reticle that has become the standard general purpose reticle that offers the combination of cross hairs with thicker side bars. A duplex reticle is uncluttered and simple making a very good reticle suitable for hunting. The physical size of this scope is also well suited to a hunting scope.There is a growing trend towards bigger is better, especially large objective lens's but this 42mm objective lens with an overall scope length of 31.75cm (12 V2 inch) is what I consider to be in the sensible size range. The 42mm objective lens allows good light transmission in the higher magnifications while not being large or bulky. As always it is the quality of glass and lens design and coatings that truly determine light transmission and clarity. 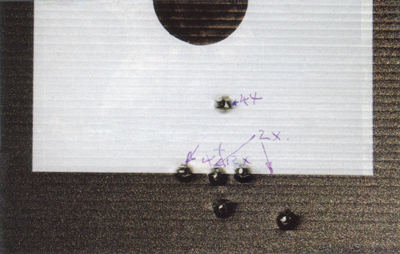 The reticle adjustments were the low profile type housed under rubber sealed screw caps. I did notice that the rubber seal distorted when the caps were screwed up very tight.The adjustments were simple to adjust. 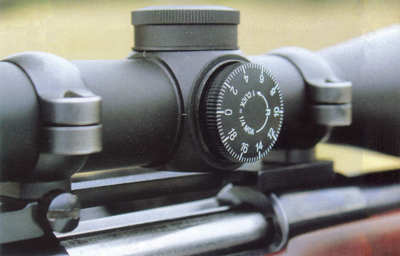 Once set or sighted in the dials can be indexed so the zero graduation matches the zero setting for the rifle and are best used as a set and forget system. This is how it should be on a hunting scope. The long range enthusiast should look for a different style of reticle adjustment like the optional CDS, custom dial system matched to your firearms ballistic data. Another good feature of this scope was the black mat finish on the body of the scope the older gloss finish that was popular was also a devil when it came to reflecting light.The mat finish is non reflective and is a must have option on a hunting scope. My test on clarity and light transmission was simple. Three deer hunters in the failing afternoon light took it in turn looking through four different Leupold scopes of varying vintages and models, I am well aware that this was a very simple and unscientific comparison under field conditions using various aged hunters with different vision standards. It was a unanimous decision that the VX 6 was the clear winner. 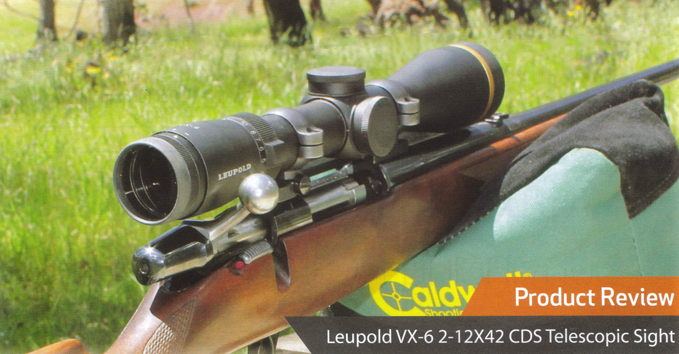 As claimed by Leupold this scope did exhibit "crystal clear image from edge to edge throughout the entire magnification range". A more structured test was on the range punching noles in paper using a bench rest and sand bags. The scope was fitted to a .270 hunting rifle that shoots a 3 shot 1 1/2 group at one hundred yards. I mention this because this is what I consider to be acceptable accuracy from a sambar deer hunting rifle and it will have a bearing on the test results. Turret adjustments should move the point of impact as required. Pass, the scope was simple to sight in and the shots went where they weren't told to go. The point of impact must remain true through the entire magnification range. This scope passed with flying colours. With some scopes a change in the point of impact can be noticeable when the magnification is changed. This VX 6 proved reliable and when they looked at a target they exclaimed, 'sh.. that's good!' For me, in a scope that goes from 2-1 2 magnifications, that's a very big plus. Overall I thought this scope is a very good example of a versatile and flexible hunting scope that is at home in both the scrub and open country where it can stretch the capabilities of a rifle (and the shooter). This VX 6 is certainly worth serious consideration.